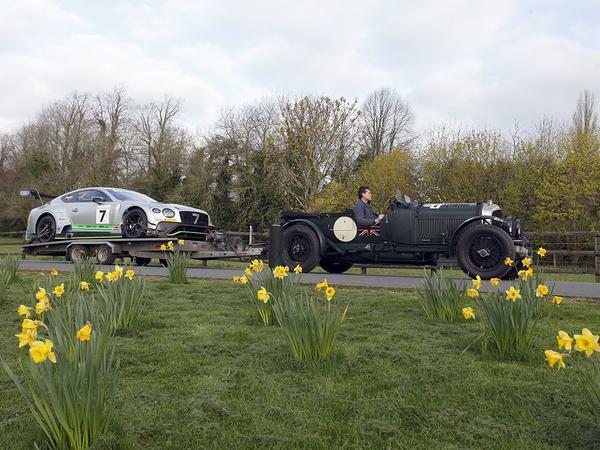 Home > News > British cars > Bentley Blower tow car! 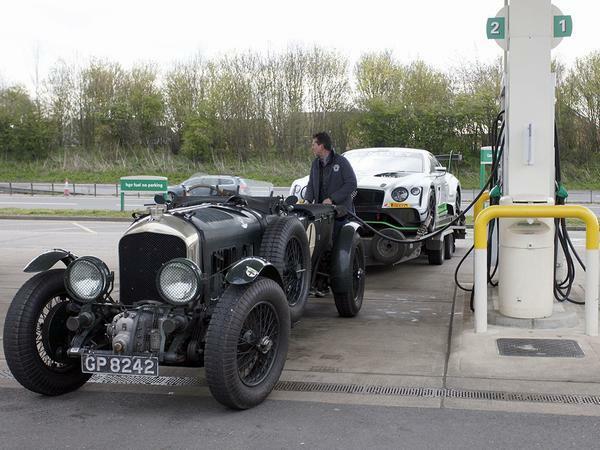 Why bother with a truck to lug a GT3 car around, when you could use a vintage Bentley? With British Summer Time upon us and the sun (sometimes) shining, it's high time to think about the motorsport coming our way over the next few months. 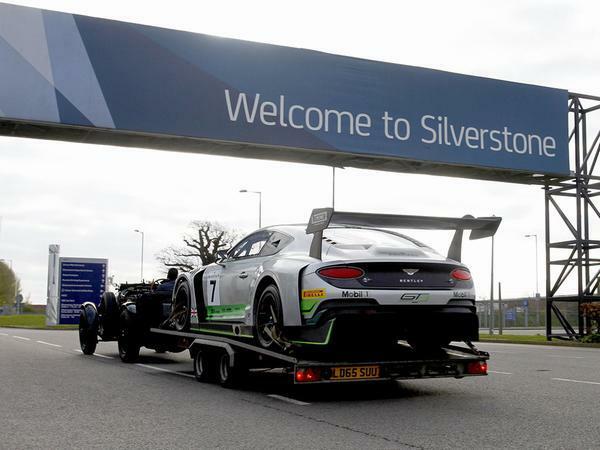 And arguably no event will be as exciting as Silverstone Classic, which will this year celebrate some huge birthdays: 50 years of Ford Capri, 60 years of the Mini, and 100 years of Bentley. The latter is of course not lost on the Crewe crew. A media day yesterday proved the perfect opportunity to set their stall out ahead of July 27-28. 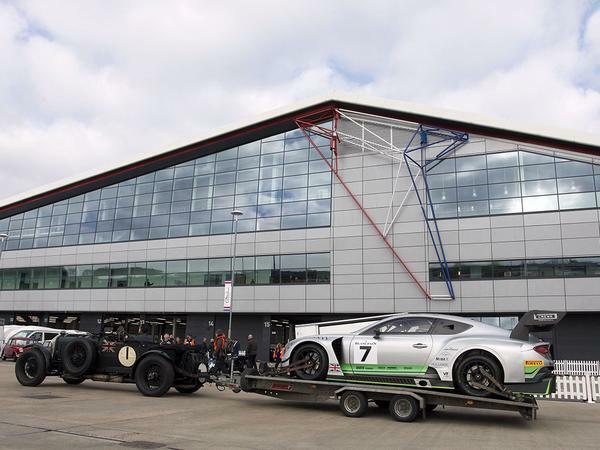 So yes, a 1931 Blower Bentley really did tow a new Continental GT3 to Silverstone. 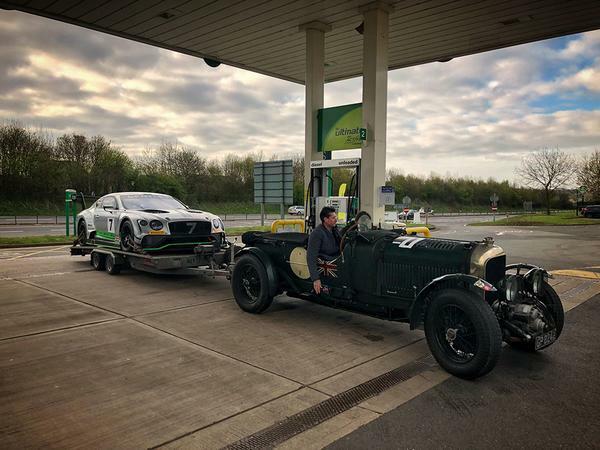 The 88 year-old car is owned by Martin Overington, who's driven 40,000 miles in it - including a race at last weekend's Goodwood Members' Meeting. Oh yeah, and towing his Porsche 962 with it. Nicely done, Martin, nicely done. 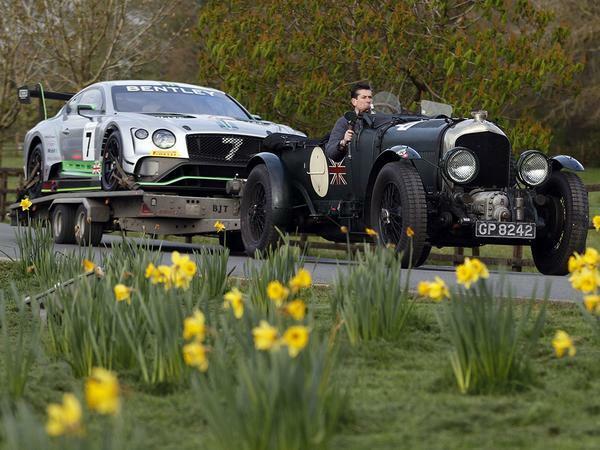 Naturally that made for some photo-op, racing Bentleys new and old a sight to behold. .... and he is a director of TVR.... ask him when somebody? Didn’t someone have a 1930s Alfa 8C as a tow car? Awesome idea hats off to them for doing it! Wonder which one drinks more.